4 images. 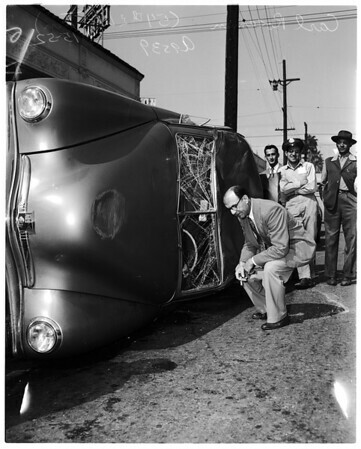 Traffic accident ...54th Street and Western Avenue, 15 April 1952. Carl Roseman and overturned car. (Sleeve reads: A9539).